During the weekend we're always looking for something new to do outside of the city. We've got two young grandchildren and visiting zoos, wildlife parks, farms and kid-friendly museums are always at the top of our list. When we're looking for things to do with the kids, we try to keep the travel time down to less than 2 1/2 hours each direction. A couple of weeks ago we loaded the grandchildren up into the car and took a day trip up to Selinsgrove in Pennsylvania. We've driven through Selinsgrove many times, but have never taken the time to explore it, until now. 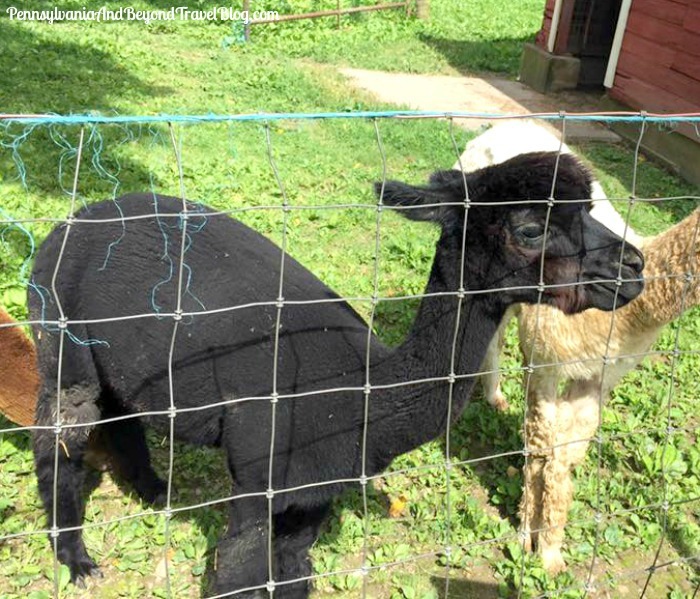 Tucked away in Selinsgrove you'll find Patchwork Farm Alpacas located on 2908 Middle Creek Road. It's a short distance off of routes 11 & 15, which is the route we took coming up from the Harrisburg and Hershey area. Our total drive time was roughly one hour. 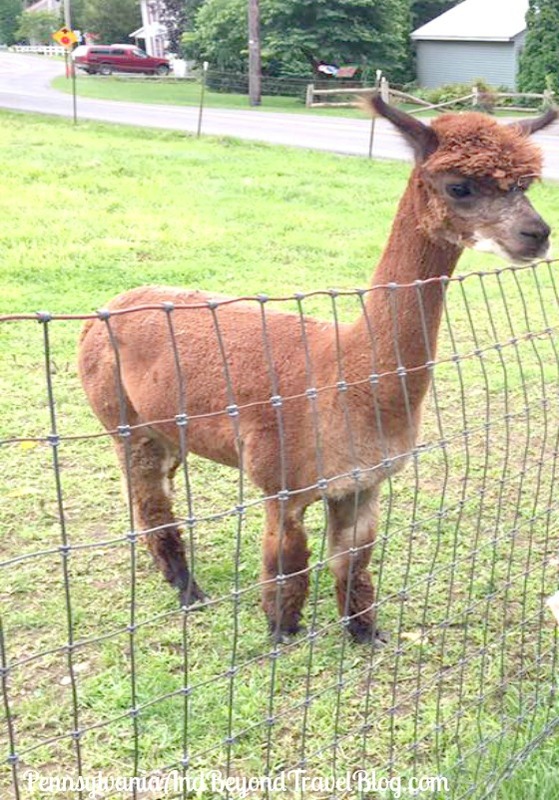 The Alpaca Farm is open year-round to the public. You'll find that they're closed on major holidays and on Sunday and Thursdays. 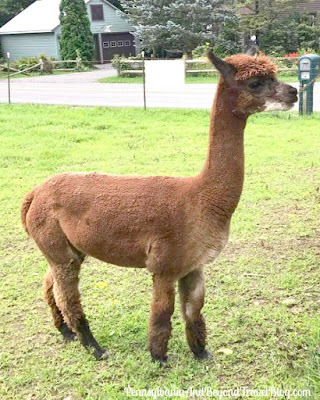 On-site you'll find an Alpaca Gift Store where you can purchase a variety of Alpaca clothing items, blankets, children's toys, jewelry and other items for your home or to give as gifts. If you're interested in buy Alpacas, breeding them or boarding them, they offer those types of services too. They welcome the public to visit the farm for FREE. There is a donation bucket that you can leave a donation in (I highly recommend that you do) and if you want to feed the Alpacas, you'll have to leave a donation for food pellets. Please don't feed them anything else, other than what they're supposed to have! We spent about 35-40 minutes visiting with the adorable animals on the farm. We did leave a donation and my grandchildren enjoyed feeding them the pellets. We found that they were extremely friendly animals and I think they enjoyed being "fussed over" by all of the visitors who were there. It was nice to get out of the city, take a drive and visit with the Alpacas. 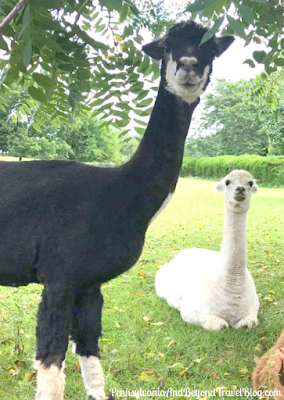 You can learn more about the Patchwork Farm Alpacas by visiting their official website online or by connecting with them over on Facebook. I would enjoy being able to visit alpacas and interact with them. I might also want to by articles made out of alpaca wool.